Ian Binnie C.C., Q.C. has been recognized as one of Canada’s Top 25 Most Influential lawyers in the category of Government / Non-profit law. 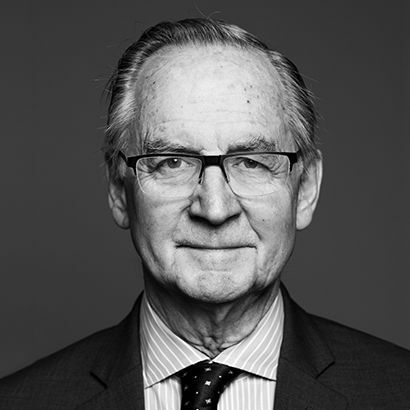 Since the Top 25 list began seven years ago, The Honourable Ian Binnie is the third Lenczner Slaght lawyer to be ranked by Canadian Lawyer. He joins Alan Lenczner (2013) and Managing Partner Peter Griffin (2014) who were both ranked for corporate-commercial law. Canadian lawyer received hundreds of nominations for the 2016 list, which the internal panel whittled down to the 160 candidates who met the criteria. Thousands of individuals voted on those who they thought were the most influential in the profession. The final list of 25 is based on that poll with input from the internal editorial panel. Top 25 is split into five areas of influence. The top five in each of the following categories have made the final list: Young Influencers, Changemakers, Government / Non-Profit, Criminal / Human Rights Law and Corporate-Commercial.